Please choose a course starting week below. Our South Campus courses run Monday, Wednesday and Fridays for six total sessions and our North Campus courses run Tuesdays and Thursdays for a total of six total sessions.Each session begins promptly at 9:00am and will last approximately 30-45 minutes. Private courses are available and you can sign up here. Click here to read about our Instructors. A full description of course is located at the bottom of this page. Feel free to email or call us if you have any questions. Email is info@evolvefreediving.com and phone is 910-358-4300. There are no prerequisites for our children’s swimming classes. 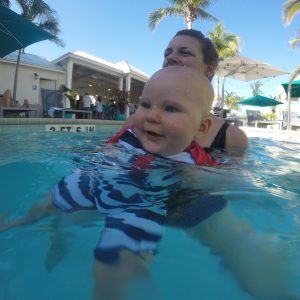 Each caretaker will be given a short questionnaire via email or telephone conversation so Evolve can garner information about the child’s experience and comfort levels in the water. The first class will be used as an introductory session in which Evolve and the child meet and Evolve evaluates the child’s skill level in person in order to better develop a personalized learning plan. Optional Discount: Sibling discount. If siblings are attending sessions together each child will be charged $50 less per child. No longer in production. 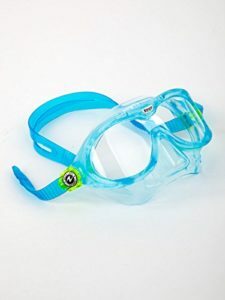 We have a small stock on hand for sale at $20/mask. This is our #1 recommendation. Check out or purchase here. 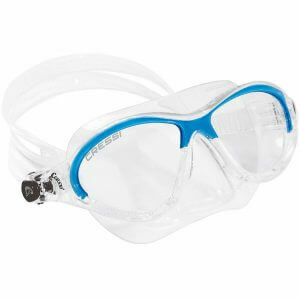 This mask is readily available online but lacks the nose pocket which we love as freedivers. Of course, getting children comfortable with their nose completely exposed is also important. This mask is our second choice. Ani finds it almost as comfortable as the Reef. Better yet, it is still in production! 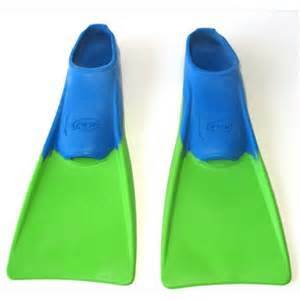 These swim fins are available in a wide range of sizes allowing your child to grow with them. These are highly recommended. A must! Ani is much more proficient using her fins in both the ocean and pool. 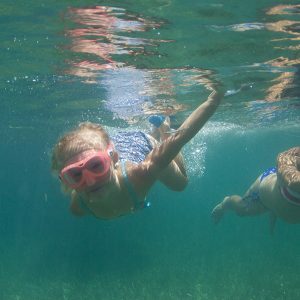 Although we stress and practice all techniques for safe and competent swimming without fins, fins are a great way for kids to have extra fun, much easier, with more confidence and mobility. 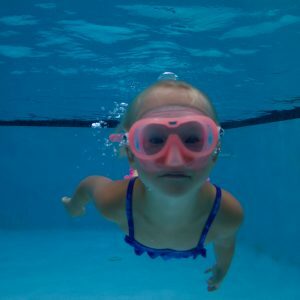 Swim courses will continue as long as thunder and lightning are greater than five miles away per instructors phone application. Less than five miles away and courses will be postponed for 30 minutes each time thunder or lightning is witnessed. Courses can be cancelled in cold or rainy conditions without the presence of thunder or lightning. It is at the discretion of the course instructor to cancel or reschedule a lesson due to inclement weather. Any make up days needed due to cancellations will run over to the following week.